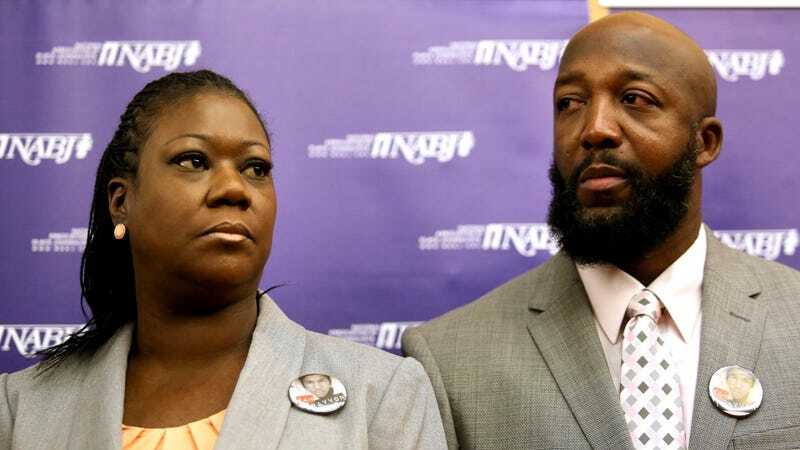 Tracy Martin and Sybrina Fulton, the parents of Trayvon Martin, the Florida teenager who was gunned down by George Zimmerman almost five years ago, sparking national protests, will be releasing a book about their son's life and legacy, the Hollywood Reporter reports. The book, titled Rest in Power: The Enduring Life of Trayvon Martin, will be published by Random House's One World and will be hitting shelves Jan. 31, 2017, just ahead of what would have been Trayvon's 22nd birthday on Feb. 5, and ahead of the fifth anniversary of his killing on Feb. 26. "It first brings Trayvon back to life as the full, three-dimensional, complex kid he was, through his parents’ eyes," Chris Jackson, the editor of One World, said, "and then to the dark and confusing days following his death, which slowly transform into the blossoming of a powerful, historic movement for change and healing that we’re still watching unfold five years later. Everyone who's been reading the manuscript is in tears by the second chapter."